Use QuestionPro Sample To Gain Valuable Information For Your Research Project. Create An Account With QuestionPro Now! QuestionPro is the leader in providing high quality Sample responses for your research projects. Our panel network consists of over 6 million active members, pre-screened and qualified for providing quality online data collection. QuestionPro offers innovative tools, industry knowledge and purchasing power to meet the rigorous demands of our clients. Since our company utilizes a variety of recruitment methodologies, we make sure to attract the right kinds of respondents for your research study. QuestionPro employs a variety of methods to ensure you're provided with the highest quality response data. We go above and beyond to ensure that deliverables are achieved as promised. Unified Platform. You can now complete your research project by easily accessing our database of pre-screened, qualified respondents. Panel Segmentation. Panelists are required to provide detailed demographic and background information, accounting for more then 160 data points collected from each member. Double Opt-In Membership. Rigorous registration process to validate new members and continuous profiling updates through periodic survey screeners. Low Attrition Rate. Good panel maintenance results in less than 2% of our members unsubscribing from the panel. High Response Rate. Thousands of members are recruited daily, which results in verified panelists who are eager to participate in research studies. 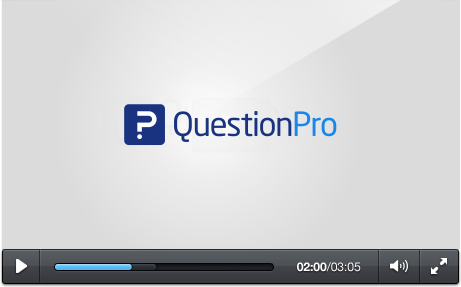 QuestionPro Sample is a completely integrated feature within the QuestionPro user interface. Sample is available to all existing QuestionPro customers as a standalone product if you already have your survey programmed on a different platform and just need to buy the respondents. 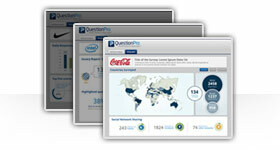 QuestionPro can turn your request for sample into actionable intelligence in just a few hours. Submit your sample inquiry and let us manage the fieldwork as you watch the survey results come streaming in. The sample database is continuously refreshed with new recruitment to make up for attrition and to expand our capabilities by bringing QuestionPro Sample to additional markets. The database is cleansed on a regular basis to remove fraudulent , duplicate and suspect panelists. QuestionPro services clients around the world who trust QuestionPro Sample to deliver survey respondents to their surveys. As a truly international provider of software and services, QuestionPro is uniquely positioned to provide our clients with top notch support and services around the world. Step 3: After you create your survey and are ready to choose an option for distribution, click on "Get Targeted Respondents". From here, you can choose the number of respondents you need among other demographics such as gender, age range, location and ethnicity. You can also tell us if there are additional demographics you need. What are your choices when creating a survey for data collection? Can you choose from a template library that has over 100 ready-made surveys to select and edit? Are you able to easily import a survey you already have? What if you're just looking to start with a blank template? Are there over 30 question types that you can choose from which range from basic to advanced, along with various customization options? 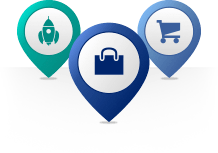 With QuestionPro, you have access to all of these features and more. When your survey is completed, in what ways are you able to distribute it? Is there an option to purchase a sample of participants that have a variety of demographics such as age range, location, gender and ethnicity? Are the participants from an active network of over 6 million members from around the world who are pre-screened and qualified for your research needs? This is available when you choose QuestionPro, plus much more! How are you able to analyze the information that comes in? Can you filter your data, along with creating cross tabs or perform trend or TURF analysis? If you need some more in-depth analysis performed, can you export your raw results to be brought into Excel or SPSS? 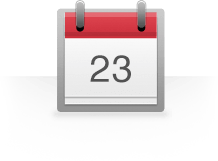 Can you schedule exports of your data if you plan on having your survey available for an extended period of time? When you go with QuestionPro, you have all of these options and many more. To start making surveys, you have three options to choose from, which include picking a pre-made template from the survey template library, importing your own questionnaire, or just starting from scratch. 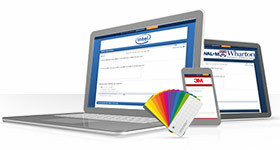 There are over 30 question types for you to choose from along with a variety of customization options. You can also implement question branching, advanced logic and scoring. QuestionPro offers you several ways to distribute your survey, including email, social media and embedding onto your website. 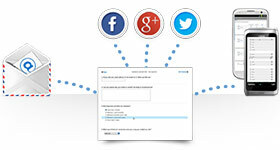 In addition, with QuestionPro you can purchase a sample of respondents to take your survey as well. You can choose the number of respondents you need, as well as certain demographics like gender, age range, location and ethnicity. You can view your responses in real time, including the number of respondents that viewed your survey, how many completed it and the time it took them to finish. You can create infographics and word clouds based on your results as well. Using the in-house analysis tools, you can filter data, create pivot tables and perform trend or TURF analysis. 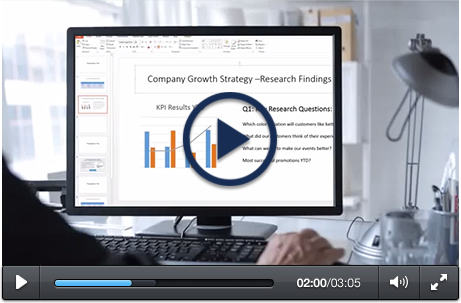 For more in-depth analysis needed in Excel or SPSS, you can export your raw results as well.